Let wholesome, delicious food be your beauty secret! Do you think it’s possible to get through Summer only eating smoothie bowls?! Yes, if they’re filled with this much healthy. 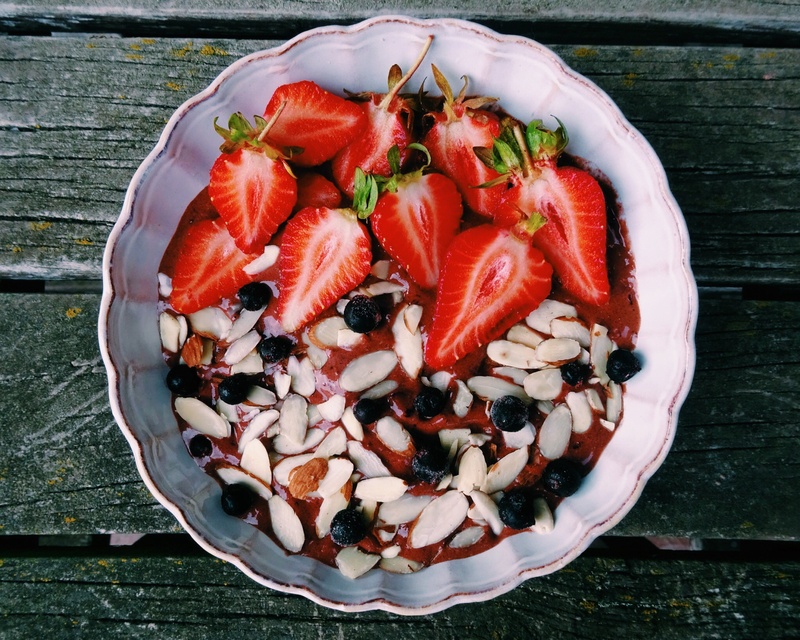 This delicious choco berry smoothie bowl is jam-packed with natural goodness and flavour. In addition, it’s naturally free from dairy, gluten and refined-sugar. Forget proactive, for beautiful skin, eat wholesome, nutritious food instead! And, last but not least, from my previous posts, you should know blackcurrants are insanely good for your health (containing higher levels of vitamin C than any other commercially available fruit or vegetable). ← Spaghetti Ice-cream. WHAT IS LIFE? !